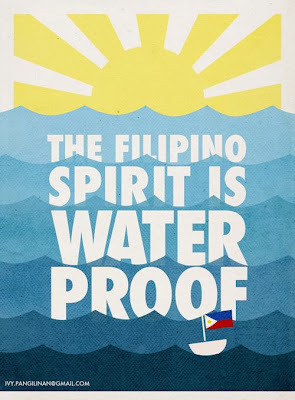 "Time to get to know the Filipino people... unbelievably resilient, long-suffering, good-natured, uber-friendly, loyal, ingenious, and a bunch of survivors. At the end of the day, the Filipinos will just shake off the dirt from their clothes and go about their business... and SMILE. They do not complain much, they will bear as long as they can. 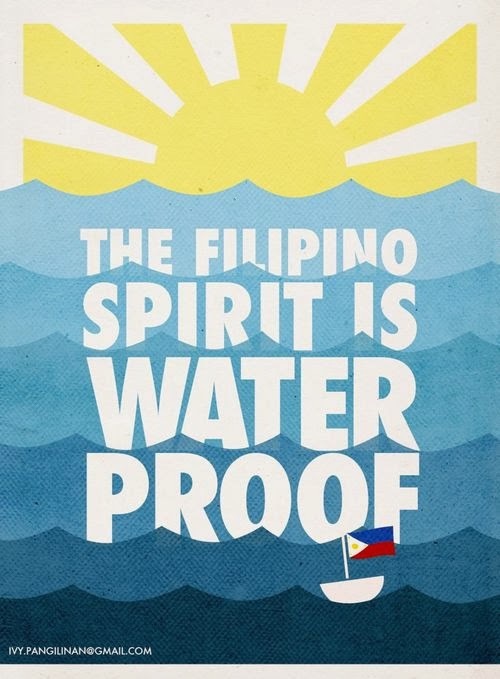 Maybe this is why they were given the "privilege" of bearing the burden of the strongest typhoon every recorded. The indomitable human spirit at its best." It's high honor to be known as this, and to even make it to the surveys as some of the happiest people in the planet. But the terrible devastation wrought by Typhoon Yolanda is testing the Filipino spirit, and how! First, those had been uneasy and dread-filled days prior to the supertyphoon's arrival. Last week, weather monitoring reports were all about the approaching menace. 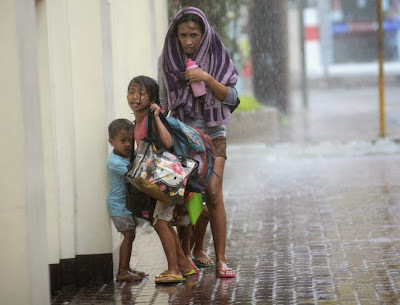 As it advanced slowly and resolutely day in and day out, Filipinos began praying and bracing themselves, being veterans of countless typhoons in the past and therefore no stranger to what this advancing cyclone could do. 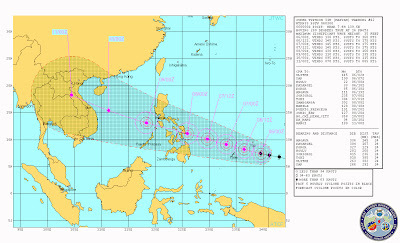 Second, the anxiety intensified as with certainty the typhoon finally made landfall (several landfalls, as reports said). It flung buildings and people these way and that, and eventually made homeless (and lifeless) many Filipinos. The safe-and-snug ones kept watch with growing horror and concern through TV and social media. 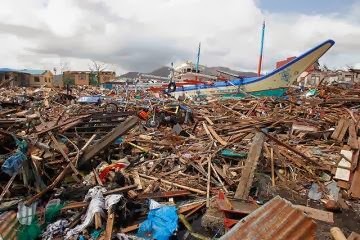 Third, disbelief as reports about the devastated areas came pouring in. The apocalyptic scenery -- flattened homes and normally sturdy buildings and debris everywhere -- was a surrealism that we only see in Hollywood movies. 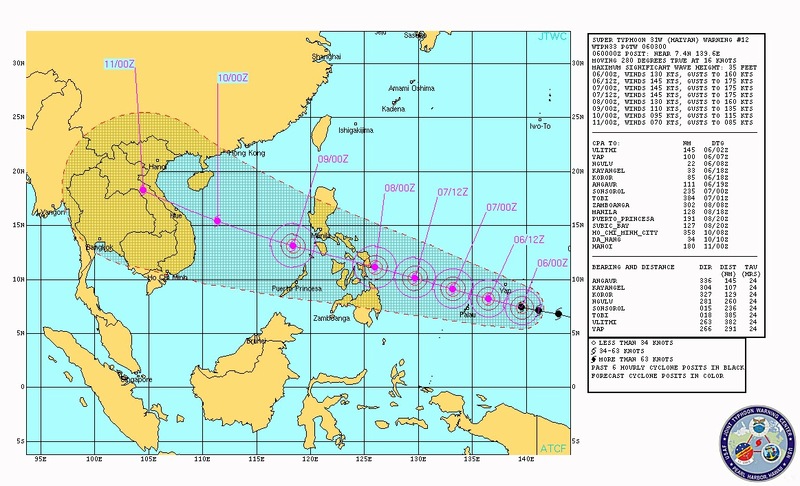 Many suspected that the strength of the typhoon could potentially lead to disastrous results. Some feared, yet many still hoped, but yet all of them weren't prepared for the actual reality. Fourth, the onslaught of grief as the body count increased, the number of missing people leap-frogged, and the faces (oh, the faces!) of fellow Filipinos in varying states of fear, daze, sadness, hopelessness, anger, and suffering were constantly in the news. Monitoring the social networks, many Filipinos cried, cringed, and were as grief-stricken as those affected. Fifth, the sense of urgency and desperation to have rescue and humanitarian aid come through as soon as possible. People rushed to collect and send aid, but frustrations were increasing as aid arrived agonizingly slow. Not enough, and not soon enough. Each day, more people were dying out there. Many victims were being victimized several times over, slowly dying from starvation and cold. They have began to lose their humanity by stooping to looting and scavenging for food and water, to survive. No one in the country is unaffected. 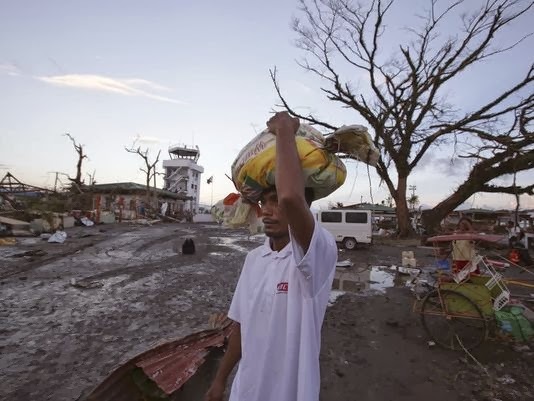 Many carry the burden in differing ways, but it is there, inside each Filipino heart. The collective anguish is palpable across the Internet. The Filipino spirit is at its lowest low, the normally cheerful people are now inconsolable. The religious Filipinos have turned ever more inwards to seek God's guidance and deliverance. It is NOT business as usual. Everyone seems going through the motion of normal living, but eyes and ears are glued to the TV and to the Internet, hearts aching for the victims. Heartbreak 1: The country is often unprepared for disasters of this magnitude. 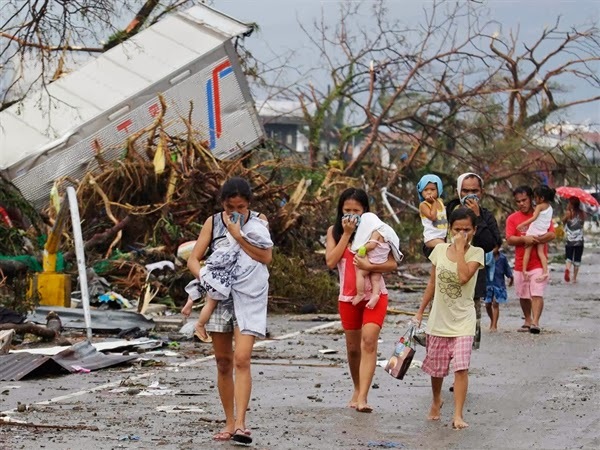 It breaks our heart but we know that our disaster prevention and mitigation systems and infrastructures are not what we can call state-of-the-art. Heartbreak 2. During calamities, it is each man to himself, or each family to themselves. When disaster strikes, the people in the grassroots had better be deeply rooted or those in areas affected better have a prayer. Because that's all we are equipped with when these calamities are in progress. Heartbreak 3. At the aftermath, rescue and relief efforts are helter-skelter and comes a tad on the late side. Heartbreak 4. Humanitarian aid always comes in droves, but always arrive in trickles. The bottleneck is greed, or personal gain. Heartbreak 5. The absolute knowledge that barely will we have risen, and we will do this all over again (typhoon- and earthquake-prone that we are). How will this story end? Oh yes, there will be recovery. Filipinos accept that situations always go from bad to worse before going back to normal, or close to normal, again. In a few month's time, maybe as early as weeks, houses will be built along the streets of Tacloban again. It will once again teem with people. The people will have more scars in their already scarred hearts, but they will be SMILING once again.